Posts tagged with "Plitvice Lakes National Park"
The planet’s leader in sustainable nature travel, Natural Habitat Adventures, has launched its newest trip, Wild Croatia by Land & Sea, a 10-day Adriatic adventure designed to go beyond the standard cruise and motor coach vacation and explore Croatia’s most secluded mountains, forests and islands in an intimate, small group setting. Join two naturalist Expedition Leaders for a personalized, 12-person journey that begins with birdwatching with a local ornithologist in Lonjsko Polje Nature Park, the largest protected wetland in the entire Danube Basin. Enjoy wilderness walking in Plitvice Lakes National Park, noted for its turquoise travertine pools, 321 butterfly species and shy population of 50 endangered European brown bears. Then step aboard Fortuna, a private, 108-foot mahogany yacht, for an exclusive sailing among the Dalmatian Coast’s 1,100+ islands and reefs. 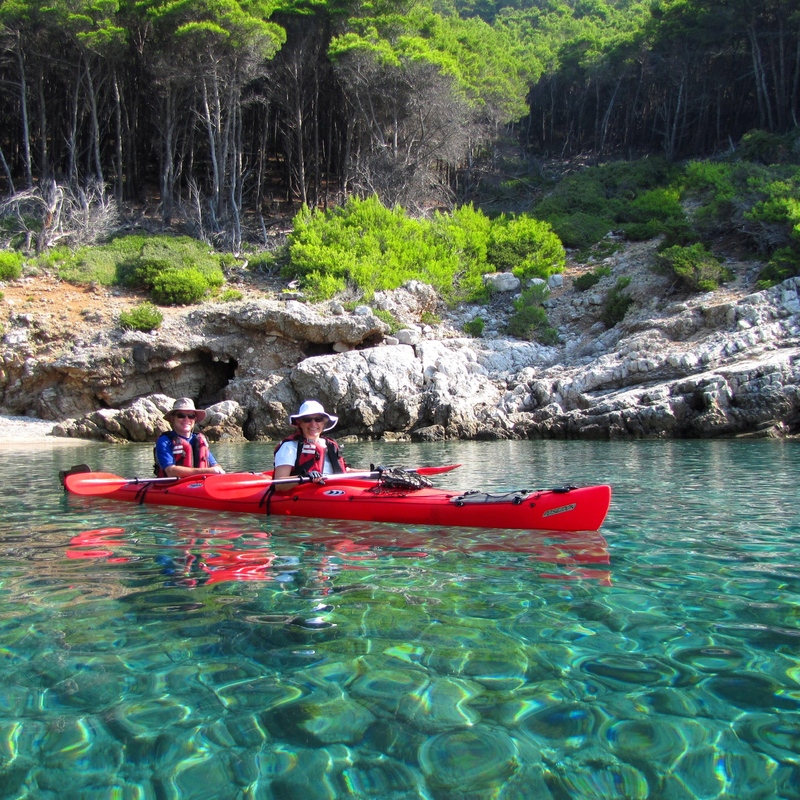 Take in the splendid Mediterranean scenery while sea kayaking the shores of secluded limestone islands, each with its own unique offering of sheltered coves, tranquil caves, private beaches and dolphin populations. Croatia’s ancient seaside towns and temperate climate set the stage for cultural tours and culinary discoveries. Explore Split’s Old Town – a UNESCO World Heritage Site – with an expert guide. Stroll through Vis, a tiny 5,000-year-old town replete with wild rosemary, sage, olive groves and lemon orchards, stopping at a farmhouse for a dinner of peka (a Dalmatian delicacy of vegetables, lamb and octopus roasted in an open fire). In the seaside town of Jelsia, sample the wares of a winemaker who is leading the area’s viticulture renaissance of indigenous varietals, and enjoy a farm-to-table garden feast with a local family who has lived on the island for generations. Wild Croatia by Land & Sea runs September 5-14 and October 3-12, 2019, with per person double rates starting at USD $8,995 (add $4,495 for single supplement). All activities, accommodations, entrance fees, taxes, permits and service fees are included, along with two Expedition Leaders and local guiding, and most meals, gratuities, and airport/train station transfers. This entry was posted in Travel + Food, Uncategorized and tagged 360, 360 Magazine, adriatic adventure, brown bear, butterfly, Croatia, Dalmatian, Dalmatian Coast, Danube Basin, dolphin, Fortuna, Global Society, Hannah Audrey Lowe, Jelsia, Lonjsko Polje Natural Park, Mediterranean, natural habitat Adventures, Plitvice Lakes National Park, Sharon Victory, Split's Old Town, UNESCO World Heritage Site, Vaughn Lowery, Wild Croatia by Land & Sea on February 8, 2019 by wp360mag.